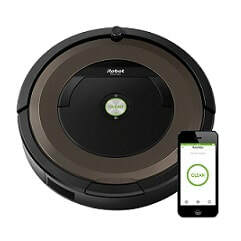 If you've been considering either an iRobot Roomba or an ECOVACS Deebot vacuuming robot, but can't quite decide which brand and model to select, you may find this article useful. Note that both iRobot and ECOVACS have produced a large number of vacuuming robots, and therefore, to simplify your task of choosing the right robot for your needs, we will consider here those models from both brands that are not just very popular, but also affordable and capable of responding adequately to the cleaning needs of the average home: Deebot N79, Deebot N79S, Deebot M80 Pro, Roomba 690 and Roomba 890. Note that both companies make also more expensive and more sophisticated robots. Indeed, Roomba 980 and Deebot Ozmo 930 are the more advanced models made respectively by iRobot and ECOVACS. But, these two robots are a lot more expensive, and not every home needs all the features they come with. We believe that the five robots selected for comparison here will respond quite well to the vacuuming needs of the average American home. 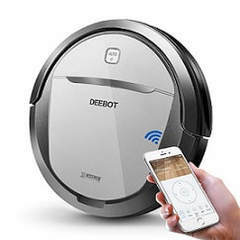 ​If you'd rather see a comparison of iRobot Roomba 980 and Deebot Ozmo 930, the top robots from both companies, please click: Comparing Roomba 980 and Deebot Ozmo 930. This article will compare the Deebot N79, Deebot N79S, Deebot M80 Pro, Roomba 690 and Roomba 890 robots. Otherwise, please read on below for a detailed comparison of the above listed Deebot and Roomba robots. 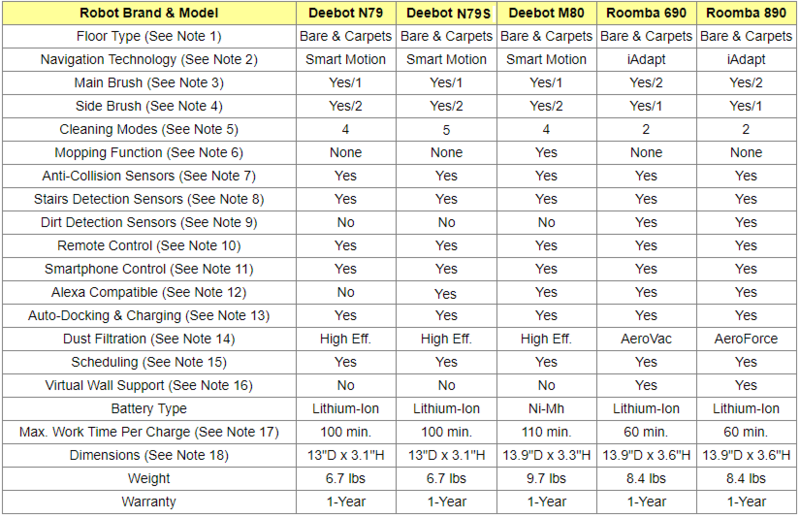 ​The following table compares the Deebot N79, Deebot N79S, Deebot M80 Pro, Roomba 690 and Roomba 890 robots. All five robots considered here can be used both on bare floors such as tiles, hard floors, laminate or linoleum, as well as on low pile carpets. Smart Motion technology found on Deebot N79, N79S and M80 Pro simulates human cleaning patterns through repetitive moves, covering the floors multiple times, ensuring that persistent dirt and debris are thoroughly removed. These robots are equipped with anti-collision and stairs detection sensors so they can cover safely the space to be cleaned without falls or collisions. All five robots considered here are equipped with one or more main brushes. Roomba 690 is equipped with dual counter-rotating multi-surface brushes: One to loosen dirt and the other to pick it up. The brushes work together to grab and remove dirt, dust, hair, and large debris from your floors. Roomba 890 uses dual counter-rotating multi-surface tangle-free multi-surface brushes that pick up dirt, dust hair and debris from the floor. These tangle-free brushes are also known as debris extractors that grab and break down debris, eliminating hair tangles and jams. Side brushes are used to clean along wall edges and corners. Deebot N79, N79S and M80 Pro are equipped with dual wide-reach nylon fiber side brushes, while the Roomba 690 and 890 are each equipped with a single side brush. Deebot N79: 4 modes – Auto, Spot, Edge, ​Single Room cleaning modes. Deebot N79S: 5 modes – Auto, Spot, Edge, ​Single Room and Max Power cleaning modes. 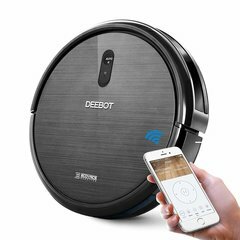 Deebot M80 Pro: 4 modes – Auto, Spot, Edge, Intensive cleaning modes. Roomba 690: 2 modes – Auto, Spot cleaning modes. Roomba 890: 2 modes – Auto, Spot cleaning modes. ​Max Power cleaning mode: For a deeper cleaning by increasing the rotating speed and enhancing the suction power. M80 robots has an optional mopping system that uses a wet/dry cleaning cloth attached to a built-in reservoir. Once the cloth is attached and the mopping mode is selected, the wet/dry mopping system dampens the cloth pad with liquid from the reservoir, mops the floor and then dries it to a sparkling shine. While mopping, the robot makes sure that only minimal water is being used, keeping the wet mop damp and wiping with the dry mop to protect your hard floors, so they stay dry after the mopping. All Roomba and Deebot robots considered here are able to move safely around your home using smart anti-collision sensors to detect objects in their path and navigate around them, for uninterrupted cleaning. If the sensors detect an obstacle, the robot will slow down, and select a new cleaning path. All Roomba and Deebot robots considered here are equipped with anti-drop sensors that can detect stairs and drops larger than 3 inches. Therefore, unless some special situation exists, these robots can clean up to and around stairs without the risk of falling. Both Roomba robots considered here have dirt detection sensors. Note that Roomba 690 is equipped with acoustic sensors, while Roomba 890 has both acoustic and optical sensors. Given that it is equipped with both optical and acoustic sensors, it is reasonable to expect that Roomba 890 will best detect dirt. All three Deebot robots considered here can be controlled remotely using the Remote-Control device which is included. But these robots also support Wi-Fi, and therefore they can also be controlled remotely using your smartphone or tablet. 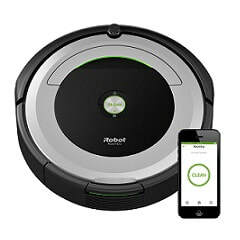 Roomba 690 and 890 both support Wi-Fi and can be remotely controlled from anywhere using your smartphone or tablet via the associated free Android and iOS App (Wi-Fi needed). Note that no Remote Control device is included in the purchase of a Roomba 690 or 890, but can be optionally purchased if needed (see Amazon products below). All five robots considered here support Wi-Fi. Therefore, they can all be controlled from anywhere using your smartphone or tablet after you download their associated Android and iOS free App to your smartphone or tablet, and as long as the robot is connected to your home's internet via Wi-Fi. Deebot N79S, Deebot M80 Pro, Roomba 690 and Roomba 890 are all Amazon Alexa compatible! You can use voice commands to Alexa to control your robot to start cleaning, to stop cleaning, to start charging, etc. When battery power gets low, all five robots considered here automatically return to recharge, all by themselves. After rechaging, they have to be restarted to resume operation if more cleaning is needed. All three Deebot robots considered here are equipped with a High Efficiency Filter which allows the robot to reduce airborne pollutants associated with allergies and asthma. As the robot vacuums up dirt, pollen, dust mites, pet dander, mold spores and hair, the high efficiency filter attached to the dust bin outputs freshened air. The AeroVac filter used in Roomba 690 handles quite adequately hair, pet fur, lint and carpet fuzz, but not quite as well as the AeroForce High Efficiency filter found on Roomba 890 that can capture 99% of allergens, pollen, and particles as small as 10 microns. Deebot N79, N79S and M80 Pro as well as Roomba 690 and 890 can all be scheduled to clean automatically once a day, 7 times a week, even when you are not there. Roomba 690 and Roomba 890 use Dual Mode Virtual Wall Barriers to prevent the robot from crossing doorways, but these stand-alone devices can also be used as "Virtual Wall Halos" to protect some restricted area within the room, like for instance the area where the dog food might be. Note that Dual Mode Virtual Mode Barriers require 2 AA batteries that are included in the purchase of the robot. No Virtual Wall feature comes with Deebot N79, N79S or Deebot M80 Pro. To prevent the robot from entering a particular room that does not need to be cleaned, the door of the room should simply be closed. If you want your robot to support the Virtual Wall feature, you should consider either Roomba 690 or 890 which come with a Dual Mode Virtual Wall Barrier, a small device that can be used to prevent your robot from entering certain rooms or areas. If you want your robot to be Alexa compatible so it may respond to voice commands, then you should consider either Deebot N79S, Deebot M80 Pro, Roomba 690 or Roomba 890. Both Roomba robots are equipped with not just obstacle detecting and anti-drop sensors, but also with dirt detecting sensors. Deebot robots are equipped with only obstacle detecting and anti-drop sensors. However, this should not be seen as a major issue, because thanks to the built-in Smart Motion technology, Deebot robots simulate human cleaning patterns through repetitive moves, covering the floors multiple times, ensuring that persistent dirt and debris are thoroughly removed. Deebot robots provide you more cleaning mode options than the Roomba robots, they have double side brushes, and they are slightly thinner than the Roomba robots, meaning that they can clean easier under lower lying furniture. The Roomba robots have double main brushes and therefore can be expected to be more effective cleaning carpets. Please click the Amazon link image below for the Deebot or Roomba robot of your choice to see exact price information or to purchase.